— GRAMOPHONE. LONDRES, JUNE 2014. Born in Seville, Spain, in 1976 to a Syrian father and Palestinian mother, he spends the first eleven years of his life in Syria, where he starts to study music at a very young age. Later he studies—self-taught—in Spain until he enters the Manuel Castillo Conservatoire in Seville in 1994 to study the Viola da Gamba with Ventura Rico. He furthers his studies in the prestigious Schola Cantorum Basiliensis (Basel, Switzerland) with Paolo Pandolfo and in the Conservatorio della Svizzera Italiana (Lugano, Switzerland) with Vittorio Ghielmi. 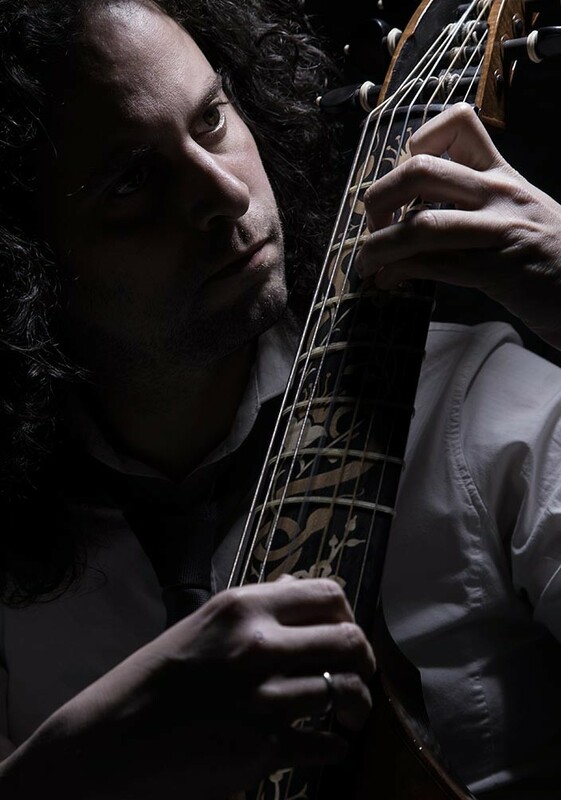 Over the course of his musical studies, Fahmi Alqhai also obtains his degree in Dentistry from the University of Seville. In 1998, he begins his career as a soloist specializing in the German repertoire for viola da gamba. He receives great reception from the public and critics for his versions of the Bach Sonatas for viola da gamba and harpsichord, which he records with harpsichordist Alberto Martinez Molina for the Spanish label Arsis in 2004. In 2002 he founds Accademia del Piacere with soprano Mariví Blasco, ensemble of which he is the director. He is also founder, together with his brother Rami Alqhai, of the record label ALQHAI & ALQHAI, with which he produced and recorded four CDs –two dedicated to the Italian Seicento (Le Lacrime di Eros, winner of the 2009 Prelude Classical Music prize, and Amori di Marte) and a third to Marin Marais and Antoine Forqueray’s music for viola da gamba (nominated for the International Classical Music Awards 2011). In 2012 Fahmi Alqhai wins the Giraldillo prize awarded to Best Music at the 2012 Sevilla Flamenco Biennal, for the music of his fourth CD Las idas y las vueltas, together with flamenco vocalist Arcángel. From a young age he is invited to work with the most internationally-renowned early music ensembles. He is a regular member of numerous recognised groups such as Hesperion XXI (Jordi Savall) and Il Suonar Parlante (Vittorio Ghielmi). He is also a founding member of More Hispano (dir. Vicente Parrilla). With these ensembles Fahmi Alqhai regularly offers concerts in Europe, Japan, the United States and South America’s best concert halls. He has conducted his ensemble, Accademia del Piacere, in places such as Wiener Konzerthaus (Austria), Berliner Konzerthaus, Philharmonie of Cologne (Germany), Gulbenkian Foundation of Lisbon (Portugal), Parco della Musica of Rome (Italy), Auditorio Nacional of Madrid (Spain), Festival Internacional Cervantino of Guanajuato (Mexico) and many others. As a soloist, Fahmi Alqhai has performed with important orchestras such as the National Orchestra of Spain, the Philharmonic Orchestra of Galicia, Ensemble Vocal de Lausanne (Michael Corboz), Orquesta Barroca de Sevilla, and Al Ayre Español, among others. He has also made his entrance in the fields of contemporary music, as well as jazz, with artists such as Uri Caine. Fahmi Alqhai has also made numerous recordings for record labels such as Alia Vox, Glossa, Winter&Winter, Tactus, Arsis and Enchiriadis, as well as for television and radio in Europe, Asia and America.